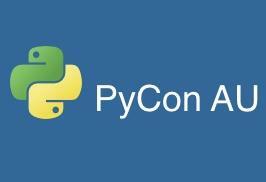 Local Python programming language professionals and enthusiasts will gather in Sydney next month for the inaugural PyCon Au, including representatives from the event's main sponsor Microsoft. With popular PyCon events held every year in the US and Europe, PyCon Au 2010 will be the first specialist Python conference in Australia. Conference organiser Tim Ansell said the local Python developers find it difficult to get to the overseas events, particularly students, and therefore though it was time to host PyCon locally. The event program will be finalised this week and Ansell said PyCon Au will have a wide range of Python-related content – from beginner talks on using Google's App Engine to more technical sessions such as how to use Boost to speed up scientific calculations. The PyCon Au keynote address will be given by Nick Hodge from Microsoft. His talk will cover using IronPython at Microsoft and being able to use Python with C# and Ruby code in the same runtime environment. “At some conferences the keynotes are sponsored, but ours are really technical. It’s not Microsoft selling the technology, but about the work done at Microsoft on language interoperability. While Python is an open source language, Ansell says PyCon Au is not focusing only on open source development and has a strong commercial software contingent. “We're having a Python conference, not an open source conference,” he said. Ansell, whose day job is a Python developer at Google and is also involved with the Linux.conf.au and Open Source Developers Conference events, felt there was not enough content on specific programming languages. Another keynote will be given by futurist and New Inventors judge Mark Pesce, who uses Python as his experimental language. Ansell said Pesce is a “strong believer” in Python and the keynote will provide and interesting insight into his use of Python as a futurist. Between 150 and 200 people are expected to attend PyCon Au and student entry is $44. Python creator, Guido van Rossum, has expressed interest in attending PyCon Au next year, but won’t make it for the inaugural event. Ansell cited news satire Web site The Onion as an example of a large Web application that has moved from moved from the PHP-based Drupal to the Python-based Django framework. “The power and flexibility that Python gives you is suited to Web development,” he said. PyCon Au 2010 will be run by volunteers with any profit made going into future events. The Web site is at PyCon Au.organd the Twitter feed is @pyconau.